When you somewhat understand the concept of being a new parent, when the baby is healthy and happy, after all of the guests have greeted your child for the first time you can breathe a little sigh of relief. Thankfully, after my husband and I got the hang of parenthood, we went for a beautiful fall getaway to Huntsville, Ontario, Canada. Located amongst the hilly forests of Ontario, lies a lively little town where skiing is popular in the winter and camping is just as fun in the summer. 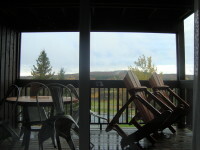 We stayed at Deerhurst Resort in October. 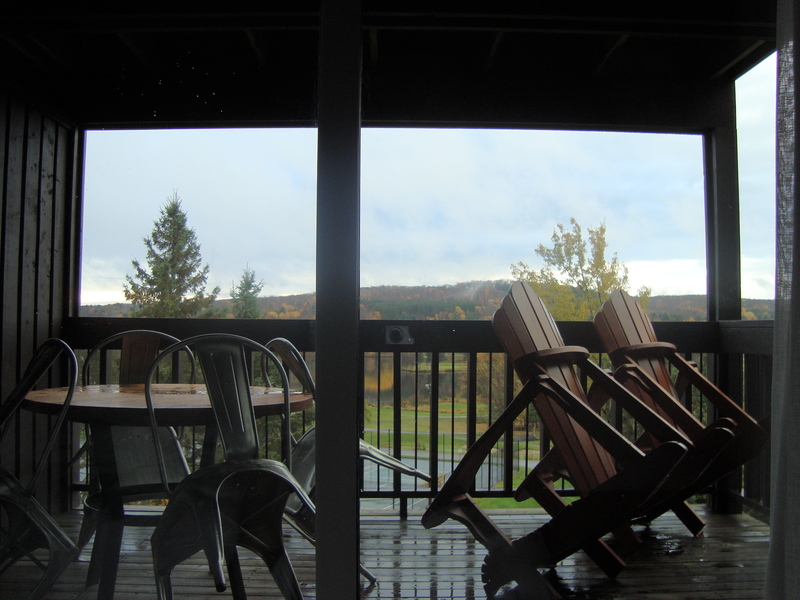 There was a fall discount and we had a gorgeous Junior Suite surrounded by Ontario’s cottage country. Though it was too late in the year for having a swim in the beautiful lake and too early for a winter adventure, it was just right to see the beautiful leaves turn every miraculous autumn colours. When we arrived at our Junior Suite we were greeted with a breath taking view and a warm fireplace. The baby and I curled up on the couch; she napped as I watched the flames. We decided to peek around Deerhurst and went to the Eclipse Art Gallery and explored the grounds. It was nice as a new mom to get out and go walking again and it was fascinating for my little one to see all of the beautiful colours of Tim Packer’s Paintings among many other talented artists! At the Eclipse Art Gallery at Deerhurst viewing some of the gorgeous paintings. The next day, we went into town just to shop in Huntsville and enjoy the relaxing weekend. My little one was never bored with all of the beautiful autumn colours and all of the friendly people in Huntsville complimenting her! 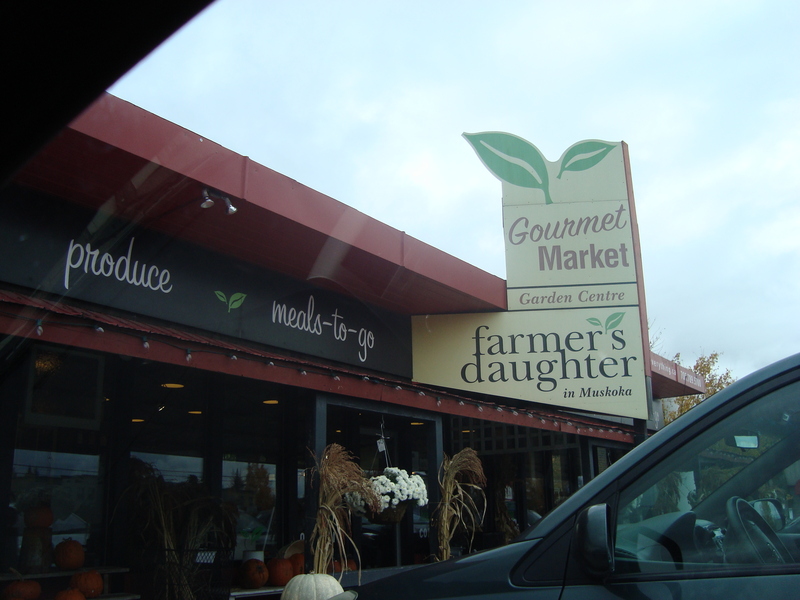 We found a great gourmet market: Farmer’s Daughter. Not only do they have a good selection of gluten free products, but a little café to sit in. My husband and I loved it there so much we ate there twice! Beware the brownies, they’re to die for! We were able to get some nice souvenirs for family and friends and also have our first lunch together out as a family of three! 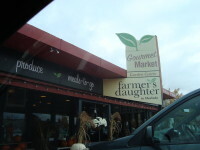 Farmer’s Daughter Market-The gem in Huntsville! We explored the town of Huntsville. We loved the Christmas Store and my little one lit up with all of the fascinating lights. 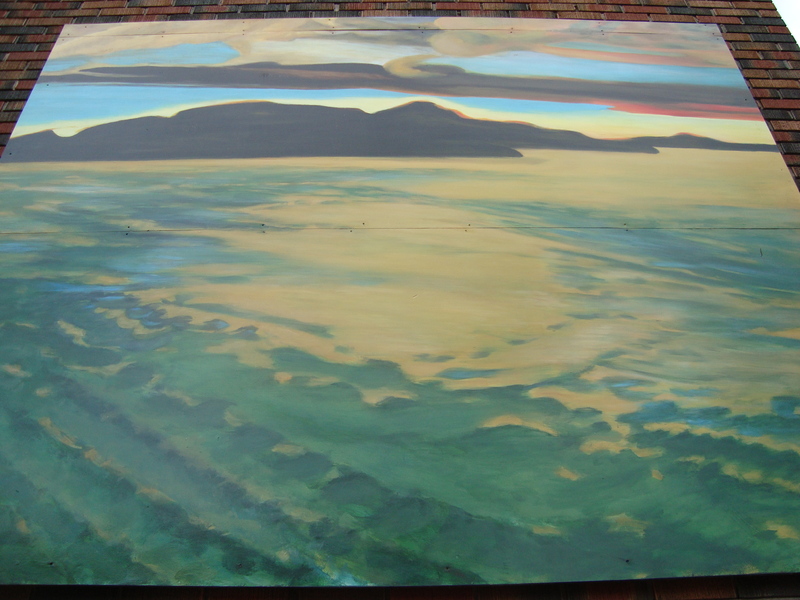 The famous Group of Seven definitely had a beautiful backdrop to be inspired by! From bakeries to clothes stores, Huntsville has a bit of everything for a weekend relaxation getaway. 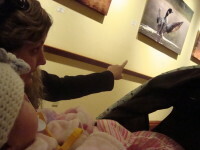 Our little one was completely entertained the whole time, even oohing and ahhing every so often. For our first family mini vacation, Huntsville was a great choice! 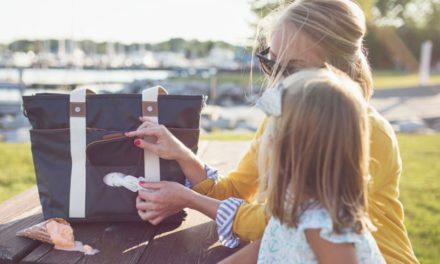 It also has so much to do for older families in the fall, from hikes to zip lining, Deerhurst Resort can organize everything for you. In town looking at a Group of Seven replica. 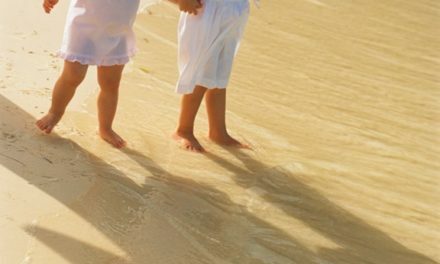 All in all, the trip was rejuvenating, a laid back relaxed trip and most of all, it was a great feeling to go on our first vacation as a family of three! PreviousShould or Could I Have A Baby? 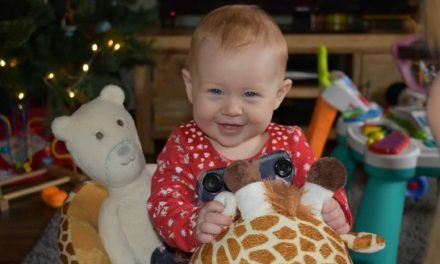 Cute Baby of The Week is Isabelle!